Unfortunately, hacking is at an all-time high and it only seems to be getting worse. This is why you have to be sure to always keep your online passwords and other sensitive information safe and secure , one method text online. Writing them down on paper or using a text document to record them is a big no-non and is very insecure. Using a password manager to keep track of your passwords and other data like credit cards and account numbers is not only smart, but also it’s also very convenient. Can you honestly remember all of your passwords for every single website that you’re a member of? Probably not. Not only that, but you are probably using the same password for every one of those sites just so you can remember it, right? Well that’s actually the worse thing to do when it comes to passwords. Once a hacker figures out that one password, they’ll have access to all of your accounts! It’s much harder to recover numerous or even hundreds of accounts rather than just one. So if you haven’t already, grab one of the password managers below and take control of your sanity and your security. 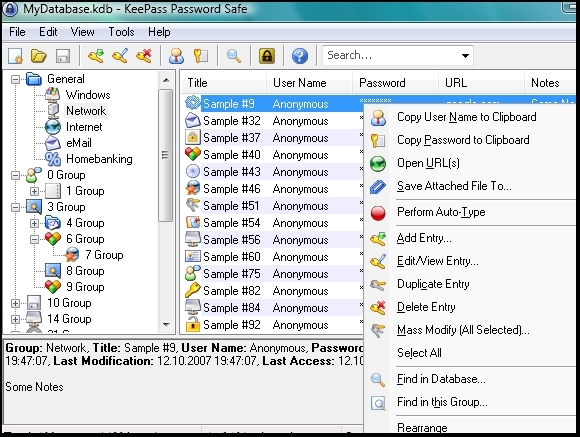 KeePass is free, open source and light-weight. Along with storing your passwords, it also has a built-in password generator so that you can create unique, secure passwords when needed. It runs on portable drive, so you can take it with you anywhere you go; no installation needed. You can also use a master password to encrypt all of your passwords and keep them out of reach from prying eyes. 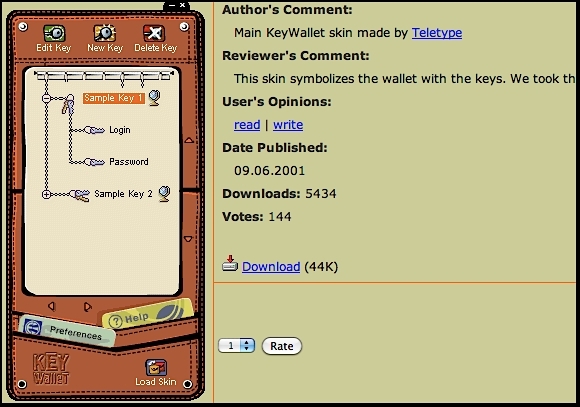 KeyWallet is a free and stylish password manager that sits in the Windows system tray and it also supports skins (kind of like an IM program). 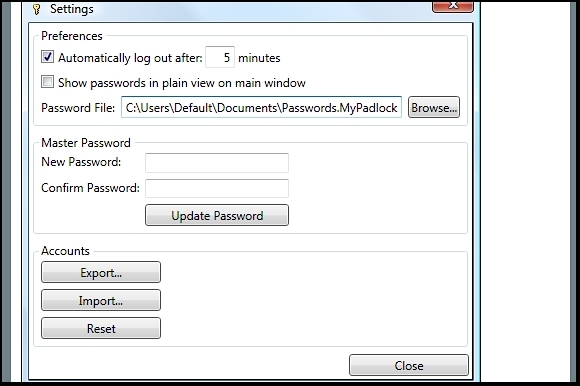 All passwords are encrypted and accessible from your Windows profile only. 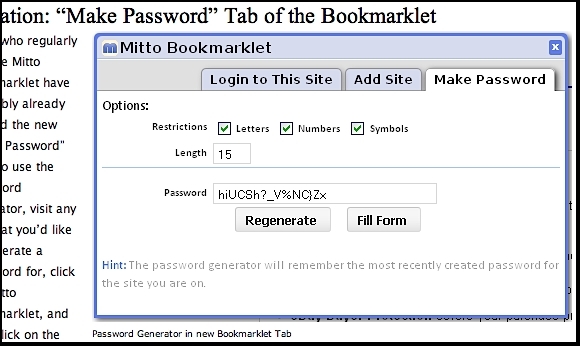 It can automatically create passwords for you or you can create your own manually. Clipperz is a “free and anonymous online password manager” that offers encryption right within your browser. Since everything is online, there’s no software to install; yet there is an “offline copy” that can be used in case you don’t have access to the Internet. It can also search as an online safe for your personal data and private notes. 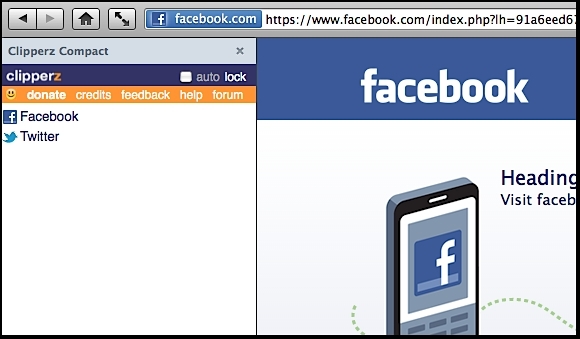 In addition there is also a bookmarklet and compact version for your sidebar Firefox and Opera. 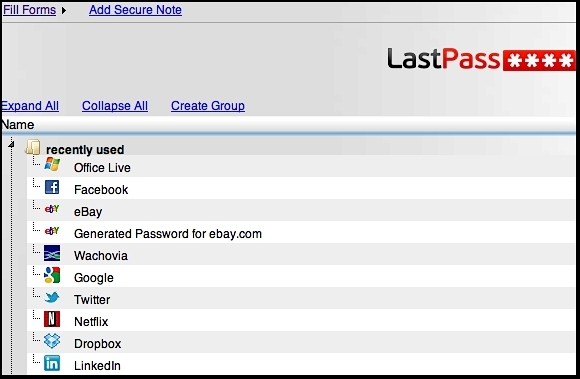 LastPass is very powerful and a personal favorite; it works on just about every browser, operating system, and mobile device. All you need to remember is your master password and LastPass will do the rest in just a single click. It is also great for storing secure notes, sensitive data and filling in online forms. One of the best things about the form filling is that you can create multiple profiles with their own separate information. MyPadlock is very secure and has 128-bit AES encryption. It keeps your passwords safe via a master password and installs without the addition of any types of spyware or adware. You can also export your passwords as a backup or for printing out. 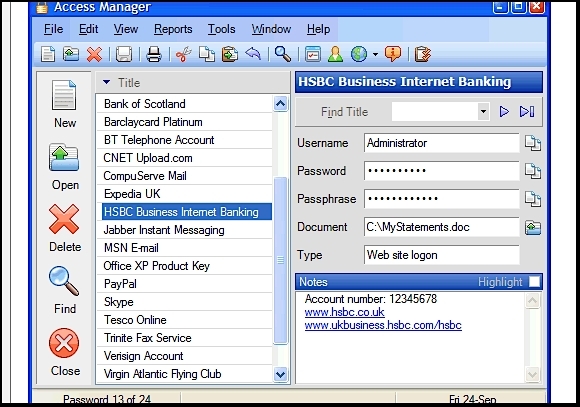 Free Password Manager is for more than just your passwords; you can use it to store and encrypt all kinds of sensitive information such as credit card numbers, access codes, software registration codes, and much more. It can also be run from a portable drive, therefore no installation is needed and it can be carried anywhere. There is also a built-in password generator along with a backup and restore feature. 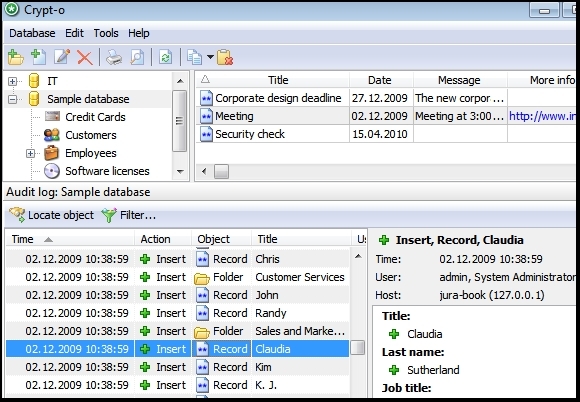 Access Manager is fast, easy-to-use and secure. A master password is used to store and access an unlimited number of passwords and other sensitive data. It offers dual encryption for your safety. You can organize your passwords into “Types” and even share individual passwords if needed. It also supports themes and styles, so you can customize it just the way you like. While the free version of Passpack is limited, it’s still enough for someone who doesn’t have too many passwords to store; you can store up to 100 passwords for free. 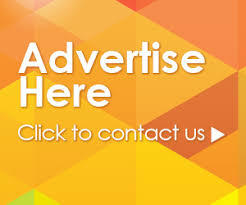 It works on just about every browser and there is also a mobile version. This advanced password manager also has a password generator, automatic locking feature, anti-phishing welcome message, desktop tool for offline backup, on-screen virtual keyboard (helps prevent keylogging), and dual authentication. Finally we have LogOnce Toolbar, a simple tool that securely stores your passwords and can be used on a portable drive. Plus you only need to remember 1 password – the master password. There is currently a toolbar and online login assistant that works on all browsers, along with an iPhone app. Once you set up your chosen password manager, be sure that you never give out your master password or pass-phrase. Also if possible, always keep the program locked when not in use. A password manager won’t save you from being hacked, but it sure makes it much more difficult. This post was written by Lior Levin, a marketing advisor for a psd to html service company and, who also works for a company that provides custom made neon signs.